Share the post "Podcast Episode 52: The Freelance Writers’ Guide to LinkedIn Success"
LinkedIn has 200 million members and 1 million groups, and is an ideal B2B networking tool. which subjects, job descriptions and profile photos should never, ever see the light of day on the site. LinkedIn generates more leads for B2B companies than Facebook, Twitter or blogs, so ignore it at your peril! Listen to this episode, and do be sure to let us know what you think! LH: Hello and welcome to Episode 52 of A Little Bird Told Me. My co-host Pippa and I are two freelance writers on a frankly heroic mission: we’re here to help you avoid the pitfalls that plague your profession and become the most wonderful wordsmith you can be. Freelancing can be really tough and it can be a really lonely old world out there. So our hope is that this podcast will just be a little ray of sunshine in a world where you can find yourself working from bed, eating cornflakes from the packet for lunch and not seeing another living soul for four years straight. To make sure you don’t miss this little sunbeam of writerly wisdom, we’ve made it super easy to subscribe; lucky you! You can tune in via iTunes, RSS feed, Stitcher Smart Radio or Podomatic. But, no matter how you want to listen, make sure you stop by the Podomatic homepage and that’s at alittlebirdtoldme.Podomatic.com and you’ll find a whole range of links and resources on there to accompany the episodes. Blog posts, transcripts, funny videos, websites, they’re all there. You can also find links to both, mine and Pip’s social media profiles and websites, so you can come and have a chat. I’m Lorrie Hartshorn and I am Philippa Willitts. PW: Today, we’re going to look at, in detail, one of the most useful social networks for freelancers. It’s not necessarily the most user-friendly or indeed the most fun but LinkedIn is a really valuable resource for professional networking unlike say, Facebook and Twitter, the focus of LinkedIn is pretty clear, this is a place to talk shop. LH: Yeah, I mean LinkedIn is never going to win any prizes for being a hoot and a holler but, perhaps, unfortunately you know given the love-hate relationship we all have with it, it does deliver when it comes to networking and business development as long as you know all the tricks. The good news is they’re easy to learn and, LinkedIn being the little snail that it is, it doesn’t really change much. It’s a slow burner, it’s the old man of the Internet and any new features are introduced slowly and gently. It almost seems so that the website itself doesn’t get scared and run away. So once you know how to do everything, you’re unlikely to log in the next day and get a shock and have to relearn everything because they’ve sprung something new on you the next day, Facebook style. 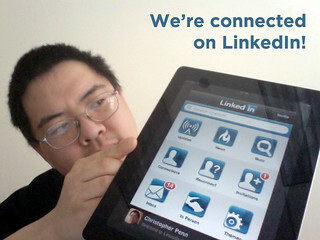 PW: Yes it’s true, and the fact is that Lorrie and I have both had work directly as a result of networking on LinkedIn. This isn’t a kind of ‘pie in the sky’ idea. This is something that does happen for freelancers. LH: Yeah, I mean no matter how you phrase it to yourself and you can say ‘oh it doesn’t really work’, it does, we’re sorry, it does. You have to get on LinkedIn. It’s horrible but it does work. Its true, it really does work. I’ve had work from other social networking sites but LinkedIn, everybody’s there for that reason. People are receptive; it’s a very, very, good website to get on, if not a very good website in itself. PW: Yeah I think it’s improving but there are still a lot of areas where it’s a bit questionable. LH: Yeah I think utilitarian is the word for it, isn’t it. It does what it needs to. So, the first thing we’re going to do is talk about LinkedIn do’s, we’re going to split this episode into dos and don’ts simply because it’s such a nice easy way to do things. So, LinkedIn dos are the kind of activities that you want to make sure you’re getting sorted during those perhaps, painful minutes that you have to spend on LinkedIn. Joking aside, LinkedIn as I say, is a completely utilitarian site, it’s not there for you to just sit around on and contemplate the wonders of the universe on. Do make sure that you use your time on there properly and if you really hate it, get on there in the morning, do your stuff, get back off again. PW: The fact that it’s not a necessarily enjoyable site does mean that you’re more likely to really want to focus what your doing and have some kind of overall plan rather than maybe say Facebook or Twitter, where you might go to relax a bit. LH: True actually, I would always think about taking a break on Twitter. If I need to get some work done and I have social media on my to do list that’s the kind of thing that I tackle in my afternoon slump, is a little bit of tweeting whereas LinkedIn is a Monday morning task for me, it’s just different isn’t it? You’re right, it is good to focus, it means that you don’t get on there and browse really, you get on there and do what you need to and then it’s done. PW: And so our first ‘do’ in the list is to overcome any embarrassment you might have about the kinds of updates that LinkedIn is designed for. This is the place where you can unapologetically talk about what a marvellous freelancer you are and though you, like me, might well cringe as you do it, it’s okay on that platform because it’s appropriate for the setting. LH: Yeah this is true actually, I mean, not everybody is like me. Not everybody wants to sit and talk about how amazing they are all the time. While I enjoy doing it, I think we’ve said it before it’s a very British thing to be embarrassed about blowing your own trumpet. 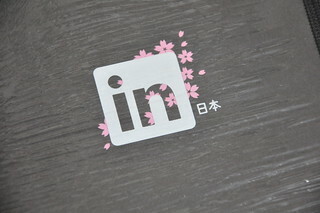 Now don’t be, frankly LinkedIn is a giant C.V, business card, networking event all rolled into one. So make sure you use it for its intended purposes, there’s no point going on there and being coy. Nobody will thank you for your modesty if you’re on there and you’re quite reticent, people just won’t see you. If you’ve had a recommendation from somebody, share it. If you’ve won new business, celebrate that. Obviously be discreet if you don’t need to name your client, for example. If you’ve written an essay or new blog post or something put a link to it, make sure you do shout about your achievements on there. PW: Definitely. If you have a look through the updates that your contacts are making, you’ll see that that just is how it works. You can’t go on to Facebook or Twitter and have every update be about what a great job your doing, people get really turned off, whereas on LinkedIn its far more accepted that you will head over there and say ‘Yay, I’ve got a new client’ or ‘I’ve just finished such a brilliant piece of work, I’m really pleased with it’ or something like that, if that’s the majority of your updates that’s not unusual. LH: Absolutely. Intersperse those kinds of updates with industry-relevant posts that you’ve perhaps found on the internet and you’re basically onto a winner. People don’t want to know on LinkedIn what you had for your dinner, they don’t want to see the Instagram of the food that you just ordered in a restaurant, they don’t want to know about your holidays or the new bargains that you bought when you went shopping. They are there, if they’re interested at all in your updates, a lot of people don’t really have a look at other people’s updates, but if people are looking at your updates, it will be to see your professional stuff. PW: Another ‘do’, speaking of people seeing your professional stuff, is to also have a look at what other people are saying, don’t use LinkedIn as a purely broadcasting media. It’s nice if you post an update for someone to comment on it or interact with in some way and similarly it’s a great way of building up your networking, if you comment on and like other peoples updates on there. So this ‘do’ is to be interactive, be engaging. Don’t just land on the site, write about how great you are, and then leave. LH: Absolutely and on a related note in terms of practices on LinkedIn, with LinkedIn you are just supposed to connect with people that you know in some way, shape or form. Now, people don’t stick to that rule at all. People build their networks they do a lot of business development. If they see somebody who looks like they might be useful to them in future they add them. There’s also a way to just click and sort of bulk add a load of people so a lot of people on there will have sort of five, six hundred, seven hundred, a thousand connections. So you’ll often find yourself receiving invitations to connect from somebody that you’ve never heard of and who you don’t know. Now, rather than just accepting or indeed declining the invite, a good way to build some interaction is to actually use the option to reply but don’t accept the invite yet. So what I tend to do is, click reply on an invitation if the person is someone that I don’t know and say, ‘thank-you for the invitation to connect, is there anything in particular I can help you with today?’ I think there are two reasons for it, one, its nice to interact with people but two, I kind of feel like I’m sticking one to someone who’s tried to connect with me for no reason because you put somebody on the spot. I’d say most of the time I don’t get a response, the person doesn’t respond and we don’t connect. But, on the occasions that the person does respond I’ve won business from it. PW: Yes. Absolutely. I mean its hard as a freelancer if somebody does request a connection and you don’t know them, part of you thinks well, is it because they’re looking for a copywriter? Is that why they’ve made contact? Or is it just that they’ve gone down this massive list of people and clicked connect, connect, connect… all the way down the list? So having some kind of ‘in’ with somebody in some kind of way where you make contact that forces a bit of personalisation into the interaction. We’ll weed out the people that just click ‘connect, connect, connect’ and help you to identify the people that could be useful contacts to have. LH: Absolutely and if you don’t feel comfortable or secure in declining people’s invites, just in case, you can still send them an email rather than accepting. You can send them ‘Hi, is there anything I can help you with?’ email but then you can also accept the invite. You don’t have to decline them. I decline them because I think I’m a bit perverse in that sense and I sort of think ‘Ha! No, I’m not connecting with you I don’t know you. Let’s find out what you want from me first’. But I think that’s just me. It is a good way to interact with somebody. Rather than just clicking accept because in the majority of cases I’ve found that if you accept a connection invite from somebody that you don’t know they just get added to your list and you never speak to them again. That’s often what happens and you just help contribute to somebody’s 700, 800 person list. PW: Our next do, is to make use of groups. There are thousands of LinkedIn groups and so what you first need to do is find some that are relevant to what you do, then join them and contribute to the good ones. I’m more into that at the moment. A good idea is to join a wide range of groups, such as a writers group or a UK specific one, but to also go to some more specific and detailed ones that are suited to your own specialities. So that be a health group, a social media group or whatever your particular area is. Now once you join them you’ll find that some are pretty much abandoned apart from periodic spam messages, don’t even bother trying to contribute to those, everybody who is a member will of filtered out those updates because of just endless spam. So instead look through and find the ones that are active and not just with people promoting themselves. You want somewhere that’s got some great discussions because then you can not only start to get your face known you can also start to prove that you know what your talking about by joining in and contributing useful things. LH: Definitely, it can be quite hard to compete with the voices of those who use the groups as self promotion platforms. You will find some people who post on there 20-30 times a day, and it’ always look at this blog post I wrote, look at this bog post I wrote, I am awesome, look at this blog post. So take Pip’s advice and send some proper time deciding which groups to join and which to stay in. A good group will have admin who controls the conversations a little bit and moderates to a certain extent which prevents people trumpeting so loudly that no one else can be heard on the group, and yes, there are a lot of defunct groups on LinkedIn, so make sure you’re not wasting your time. PW: If you do groups well then it can be a really good way of making people see you potential, making people see that you’re an authority in the topic you say you’re an authority in and if you do it badly you will just look like every other spammer in every other group. Finding the groups that are active with useful discussions can sometimes take a bit of work because so many have been taking over by spammers now, but if you do, and invest a bit of time into it then you can have really positive results. LH: I think that’s a really good point actually, that you find a good group and commit to posting in it. I think it’s better not to post at all than to post half-hearted old links in there. If you find something that was published two weeks ago and you think it was quite interesting I’d suggest not posting it at all because you’re going to look like you’re behind the times. For myself at the moment and, for, say the last six months, I’ve not found the time to post regularly on LinkedIn groups, so I just haven’t. I think I’d rather not post than post and look mediocre. LH: So if you can assign even just, five minutes a day. Five minutes at the start of the day when you’re having a cup of tea just sit there, go through your groups and having taking Pip’s advice on which groups to go for, post something, respond to people. If you don’t have anything of your own to say, respond to someone else’s post, it’s often nice to contribute and you can build networks that way. People will learn that you’re a fellow copywriter, fellow editor, fellow proof reader, whatever. You don’t actually have to find the time to post your own information on there you can just contribute to someone else’s discussion and still build value that way. PW: Yeah, absolutely. And especially if you do find it far too embarrassing to post things that are directly self-promotional it can be quite an indirect way of doing it I suppose. LH: Yeah, I think so. You can hint to your own credentials, which is a very British sort of thing to do. Hint your own credentials, show that you have knowledge without having to go on there and say I’ve got this knowledge. 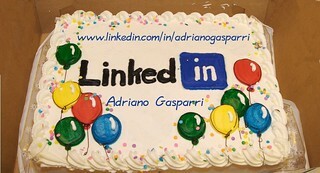 PW: And so, another do, for LinkedIn networking is to be strategic. LinkedIn isn’t all about immediate results, things don’t necessarily happen straight away and if you want to build a great reputation as a freelancer or start networking with the real top bods in your industry this is going to take some time, so rather than just blundering in make some plans about what the best ways are to reach your goals including some kind of roadmap. One of my other LinkedIn contacts got in touch with me a few days ago, basically they are applying for a job at a particular company and they could see that I had a contact who worked at that company. So what they did was ask me if I could introduce them, which I happily did, and from my contact’s point of view, they now have an in with that company that they wouldn’t have had otherwise and hopefully that will help them in the job application process. That kind of approach takes planning and research, and time actually, but when you take the time to do it properly you’re far more likely to get good results on a site like LinkedIn. Instead of say, you launch yourself at the CEO of the company with a message asking for a job or a contact request they will just shut down the channels of communication straight away. LH: That’s an interesting point actually. I’ve done business development on LinkedIn, I’ve never been shut down so to speak but when I’ve tried emailing people I’ve always had better results going from middle management than top dogs or the marketing team. The marketing team are open to people looking for inroads to that company, they’ve got the time, there used to dealing with enquiries about the company so look at who you’re contacting if you’re looking for a particular within a certain organisation. PW: Yeah definitely, like everywhere you know the higher up somebody is the more gatekeepers there are, trying to prevent you from getting direct access to them. I have worked as a secretary and receptionist in my long dimmer distant past as I know Lorrie has and a big part of your job is preventing people from talking to your boss. LH: True! It’s true: you learn to recognise who to let through (no one!) and who to prevent (everyone!). PW: Exactly and while LinkedIn does remove some of those barriers to a degree, you do in theory have direct access to anyone who’s on there as long as certain weird criteria are met about mutual contacts. You know the reality is that a lot of those sane people will have their own gatekeepers preventing access directly from LinkedIn as much as if you emailed or phoned. So, think carefully about how to do it, look at the person you want to be in contact with and see whether you have anybody directly in contact with you both, that’s ideal. If your best friend knows someone really well, whom you’re desperate to speak to, then you know, that’s brilliant. Most likely it’s going to be less direct than that and like in this situation I knew somebody at the same company and they were happy to be introduced. LH: This is it. I think as long as you approach people politely, particularly if they’re not too high up the tree you know, as in the case of your mutual contact there, if you introduce somebody politely and you say to somebody ‘look I would love to get in touch with this company, I have a great idea for such and such’ or ‘I’d really love to send you some information on this, that and the other’ there will be a certain empathy for you. Everyone can kind of relate to try and improve their careers as long as you do it in a respectable way and as Pip says you don’t just suddenly launch yourself at people with a view to just seeing what you can get. It’s about offering value and doing it in a respectful way. So the next LinkedIn networking do is do apply the usual key word rules to your profile. Make sure that your profile isn’t a disaster zone, if you’re a copywriter it’s most likely that you will be familiar, or indeed should be familiar, with writing for the web. It’s a rare copywriter nowadays who just handles print material. So, apply the same rules to your LinkedIn profile. Make sure there are lots of key search terms in there. Don’t make the whole thing into a keyword jammed, unreadable mess. Make sure your headlines are relevant and not as I saw recently, something like, “Joe is unemployed”. Honestly, who would put that on their LinkedIn profile? Would you put that on your CV? Who’s going to search for that? It’s ludicrous. LinkedIn is basically a search engine, for a lot of people that’s what they use it for, it’s a recruitment search engine and if you post on your headline that you’re unemployed, why would you do that? Think about what you want to gain from being on the site even if you are unemployed, even if you have no clients and you’re down to bread, rice and water. Think about what you want to gain from the site, go with some terms that will win you the kind of work your looking for so when people search freelance copywriter, Manchester or they search for freelance book editor, UK, your there, you’re at the top of the list. Now one tip that is worth noting is that your contact information on your LinkedIn profile can be tailored for keywords. People don’t seem to know this; this is my favourite kind of LinkedIn hack. Everybody’s calling everything a hack at the moment; I’ve got swept away with it a little bit. So when you fill out your information, LinkedIn allows you to choose a few links to include on your profile, I think you have 3, 4 or 5. So you can have a link to your Twitter, your business website, a link to your personal website or your Facebook and you can choose these from a dropdown box. You can choose which type of link you’re entering. So if you think oh I’ve got this work Twitter account I want to link to that from my LinkedIn you choose from the dropdown box Twitter, type in your username so say, www.twitter.com/whatever but the problem with this is that the anchor text, again if you write for the web learn what anchor text means, quite a lot of people don’t know it still, it’s the words that you click on, it’s the clickable link. So the word that you click on from your LinkedIn profile to get to those links will read something generic. So, Twitter or Facebook or professional website and that does nothing of any use. If, on the other hand, you select other from the dropdown box another little field appears and you can type in the anchor text that you want there, so this is a fab opportunity to enter some relevant search terms. So if you’re a UK copywriter you can type in UK copywriting services or if you’re a book editor you can put professional book editing and people will be able to click that term to get to your website so that’s far more useful to you than professional website or twitter but that’s what 99% of LinkedIn users will have on their profile page. PW: And as with everything keyword related an equally important pointer is to not overdo it. It’s important to get the keywords in for all the reason that Lorrie has explained. If someone looks at your profile you want them to instantly know what you do, you don’t want to be cryptic or mysterious on LinkedIn. LH: That’s a good point. Choose a job title that people understand rather than trying to sound really exciting and people don’t know what you do. PW: Exactly, so if somebody wants a proofreader in Bristol, make sure that you’ve got proofreader in Bristol on your profile, if that’s what you are. But equally don’t be tempted to make every third word proofreader and every fourth word Bristol, because that’s when it gets messy it looks awful, it reads badly, it’s horrible to see. LH: Yeah, anybody who knows anything about anything will look and go no thanks. PW: Yeah exactly, especially as a writer. You’re trying to persuade people that you can use words really, really well. It’s the whole point of being a writer is being good at words and so if someone glances at your profile and sees the same four words repeated in a way that doesn’t even make sense, then why on earth would they want to hire you. PW: Exactly and if you expect somebody to read that and go ‘I need them to write my website’. LH: They are the freelancer for me. Philippa: Now, actually that is related to a do that we’ve only kind of briefly touched on but that does deserve its own real pointer. That is it seems obvious but it can’t really be overstated how important it is to fill your profile information out. Now as well as what Lorrie’s mentioned about getting the links in, there’s a ton more space. You don’t necessarily have to get to the big 100% mark but if a client is looking at your profile to find out more don’t leave them guessing. Make sure that your skills and your work history and places you’ve been published, any section that gives you the opportunity to show off, make sure they’re filled out. LH: This is true although it taps into something that’s my gift bug bare in terms of LinkedIn and that’s that when you reach this 100% filled out profile state, it tells you that your profile is all-star and I have no idea where that comes from and it’s the worst piece of branding ever. All-star is hyphenated, it just says you have an all-star profile and there’s no build up to that, you’re not like half a star when you have half your profile filled out, you get that circle on the right hand side that looks half filled, when it gets to the top, all of a sudden LinkedIn tells you you’re an all-star. So yeah, horrible branding, “be an all-star”. Make sure that you do what Pip tells you she’s a very sensible woman honestly, most of the time. 9 out of 10 times do what Pip tells you, in this case definitely do it. Fill out your LinkedIn profile because there’s no reason not to, it’s an extremely high traffic website, it’s got a very good search function, horrible though the site can be at times, there’s absolutely no reason, if somebody Googles your name, as people will often do, I do it all the time I Google people, your LinkedIn profile is likely to be one of the top results. Don’t waste the opportunity make sure you have everything of relevance on there and you don’t need to be wordy about it as Pip says, you don’t need an essay in every section in fact it’s better that you don’t have an essay in every section because people will lose interest. Have just enough on there to make it clear what you do, what your offering, what you’re looking for if that’s relevant, get your key words in and Bob’s your aunty. PW: It’s interesting, I know some people, if you’ve got a bit of a chequered employment history you might wonder about how much you should include, you know is that job in a pub when you were 19 really relevant and I would say unless you’ve done something disreputable, its worth including things because you never know when a pub chain will be looking for a copywriter who has some experience in the trade. They find a copywriter who’s worked in a pub, perfect. So I would say err on the side of actually including it. The stuff that’s from years ago won’t necessarily be that easy to spot so you’re not going to do yourself any damage unless you put on like, heroin dealer or whatever. But yeah, if in doubt include it and also I find that like Lorrie mentioned, LinkedIn is pretty much the equivalent of a CV or a résumé if your American, and I find it useful even as a prompt to myself, I go what year was it that I worked in the health service and so I can look down and spot that, it’s really handy just as a personal record if nothing else. But if you’ve done a wide variety of jobs don’t think that will work against you because actually it could work in your favour. LH: Definitely and if Pip’s not convinced you and don’t want to add all your work experience in there, then don’t. Still fill out your profile though, and make sure you’ve got a lot of information on there because it’s worthwhile, you know, as Pip said it isn’t the easiest thing to spot somebody’s history, so don’t think that on the opposite side of the coin that if you don’t have a long work experience history that it’s not worth being on there, it most certainly is. Pop all your relative information on there and that’s it really. People will mostly just look at what you’re doing now, so, include what you have as long as it’s not dodgy but don’t panic if you haven’t got that much to include. PW: Yeah, absolutely. Now before we get going on our stern list of LinkedIn don’ts, the final do that I’m going to recommend is, don’t just take – you’ve got to give as well and you will want on your profile plenty of endorsement and recommendations from your LinkedIn contacts and that’s fair enough, there a great way of offering social media proof to clients to prove how great you are, but they don’t just come from nowhere and a great way of getting them is to give them first. Now there are two main types of social proof you can get on you profile from other users, these are recommendations and endorsements. Now recommendations are reviews basically of several paragraphs that any of your contacts can write for you and that you can write for any of your contacts. I’ve done it for a few people and a few people have done it for me, and a good way of approaching it, is just write somebody a recommendation if you want to recommend them first of all, that’s a good reason to do it, it’s good karma and you’re doing somebody a favour, but equally if you want somebody to write one for you a very good approach is to start by writing one for them first, because a lot of people will then reciprocate anyway. If they see that you’ve written one, they’ll really appreciate it plus they do look great on a profile if somebody is full of glowing praise for you. If you write one first they may well return the favour and if they don’t and you decide to ask them, you’re already a few points up. The other newer option is endorsements where you can pick up to fifty skills and abilities that then other people can endorse you for, and that’s a far easier quicker process where you just click on a plus sign to endorse somebody, and so, quite often when you’re on LinkedIn a little box will pop up and it will say do you endorse Lorrie for copywriting and so you click the plus box and then she gets an extra one on her profile under that category. Now, when these first came out I think people were quite unsure about how they work, they take a few moments of your time, so, generally if I look at someone’s profile I take the extra 15 seconds to go to the bottom and click as many endorsements as I genuinely endorse them for. I don’t endorse people if I don’t know them or If I don’t know they can do a particular skill that’s mentioned, I’m always very honest, but if I know they can do something and that they do it well then I’m happy to endorse them. The more you do that kind of thing, the more somebody else is likely to head over to your profile and do the same in return. LH: Absolutely, endorsements tend to be more so than recommendations they tend to be a mutual back patting exercise. You know, if somebody endorsed me I often will go to their profile specifically to endorse them as long as I know that what I’m endorsing them for is indeed one of their skills. Now, weirdly sometimes people will endorse you despite not knowing you. PW: I’ve had a few of those in the last few days, it’s very odd. LH: Yeah, so have I. Going back to the idea of people adding you without knowing you and sending you an email saying is there anything I can help you with. I did this recently, somebody tried to add me and I sent them a message saying is there any particular reason, anything I can particularly help you with but then because they looked like a fairly useful person I clicked accept as well. Now weirdly they didn’t respond to my email but they immediately endorsed me for five things. PW: It’s so odd, isn’t it? LH: It’s really weird, I mean I don’t mind, I know that I’m an alright copywriter, proofreader, editor and whatever else they clicked. PW: It’s always nice to be endorsed, but yes it is odd when that happens. You know maybe it’s just that we have fans from afar. LH: That’s sinister, yeah maybe. So that wraps up our LinkedIn dos for this episode. What we’re going to do now is move on to a range of LinkedIn don’ts. And this frankly is what I’m looking forward to, I love being the bad cop, I do, I can’t help it, I really love being the bad cop and these are LinkedIn absolutely do not’s. PW: Prepare to be scolded, so our first don’t is something that’s come up before in podcasts as you know, we’ve mentioned it before but that’s because it’s so damn important that is, don’t automatically feed your social media updates from other sites into LinkedIn. It’s not the right platform to broadcast anything and everything to. It’s definitely, one to be a bit sparser, and to think about and approach differently. LH: Absolutely, and sticking with being bad cop here. There are perhaps one or two things in the whole word that are more annoying than feeding all of your social media updates onto your LinkedIn profile, because the thing with LinkedIn is that most people will post on there three times a week, four times a week max really, maybe not even that. So if you’re posting your every update on LinkedIn, you are going to be monopolising almost everybody’s timeline and that’s never going to be good. PW: And if those posts are clearly like, Twitter replies or something that’s not even relevant to the platform retweets, replies even just, “ohh nipping to town now”, no. LH: It’s so inappropriate, isn’t it? Pip, Yeah, Lorrie mentioned earlier to not feed your Instagram to LinkedIn it’s all that kind of thing. It’s a platform to think more carefully about really to consider updates before you post them. Perhaps a bit more than you would on Twitter or Facebook. LH: Absolutely, I think unless you are either promoting your services of offering a link of real value, so you know, an up to date interesting actionable blog post, don’t post it on LinkedIn, it’s just not relevant. PW: Yeah, Twitter used to offer an option to directly feed to LinkedIn but they cut that, thankfully. PW: A few months ago and prior to that I had a few contacts that would do that, and the most prolific one of those clearly never uses LinkedIn ever because she’s still not noticed that whereas before she was sending several hundred LinkedIn updates a day she’s now sent nothing for nine months so she wasn’t even checking for responses are anything, so thank you Twitter. LH: Yes, thank you because it’s just not appropriate is it. Aside from sort of spamming or overloading other peoples timelines your destroying the boundary between professional and personal. PW: It really does your credibility no good at all, if on your professional networking site you’re having a rant about the gas company or you’re complaining about, oh, I don’t even know, you know; it’s just not how you want to present yourself professionally. If you think back to what Lorrie said about LinkedIn being your business card, think of it that way. PW: I was totally pissed! LH: ‘Oh my god, the hangover that I had’. It’s just not appropriate and the thing with automated feeds is that you will forget that your LinkedIn is linked to your Twitter, Facebook or whatever and you will have a little chirp about something, that you know even in context, even if you’ve linked your professional Twitter to your LinkedIn, I find you can be more informal on Twitter because it’s all in context. So I can have a bit of a giggle and a bit of a joke with my clients on Twitter even via my professional profile because it’s all in context. You know, one little tiny tweet about something frivolous is great on Twitter because Twitter moves so quickly, it’s a flash in the pan, it’s gone. If you’re immortalised on your LinkedIn like ‘oh my god, look at this amazingly funny picture of a cat trapped in a blind’ it’s not good, it’s just not good, don’t do it. PW: Yeah, and in terms of presenting yourself. Our next don’t is, don’t think that just because you can self-promote more on LinkedIn than pretty much anywhere else don’t fall in to the trap of thinking it’s all you should do. You do still need to interact with other people and also show a bit of your personality as well to keep it interesting. People don’t want to perceive you as some kind of ‘bot’ you know, if all your updates are completely impersonal, they have no character to them, then you’re not interesting however professional you may be. 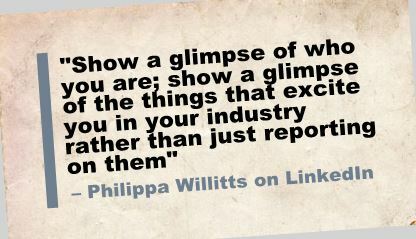 So show a glimpse of who you are, show a glimpse of things that excite you in your industry rather than just reporting on them for instance. LH: Absolutely and its worth, I think this feeds back into a point that you made earlier Pip; it feeds into the interactivity thing. If you are constantly posting closed statements about ‘I got a new client, this is good’ ‘I completed a new piece of work, this is good’ ‘everything’s going good for me, hoorah’ what can people say to that really? There is only so much that people can champion you and I wouldn’t interact with somebody who say would consistently post I did this and it was great and I did that. It’s a bit like Harry Potter, I’m not a Harry Potter fan; “Harry did this, and Harry did that, and it was amazing and Harry did that, and it was cool”. Or indeed – and I’m going to get some stick for linking the two – Twilight: “Bella did this and it was cool and Bella did that and it was amazing…” after a while you stop investing, so vary it up. As Pip says, introduce some information that you generally care about, that you feel passionate about like ‘oh my goodness, amazing development in this’ or ‘whacking great piece of new legislation in the recycling sector; what do we all think about this? How is this going to affect us? What are we going to do with it?’ You know, you can do it in an engaging way, invite interaction from people by being interesting. PW: Yeah and Lorrie’s ideas there all came with a question which is another good way of inviting people to interact with you. If you post some kind of status update or a link to an interesting piece of work then ask a question say ‘what do people think? This looks really promising to me, do you agree?’ and invite other people to come and chat under your updates. LH: Yeah and it’s not like being in a room and asking a question that no-one responds to, it doesn’t matter if people don’t respond to your question, don’t feel like a ‘Norman no-mates’. I asked this question and nobody’s got back to me. Sometimes you just won’t spark some people’s imagination, but if you put yourself out there and you invite the interaction you’re at least doing what you can. PW: Yeah absolutely. So self-promote by all means, do it because you’re supposed to there, it’s what it’s for but don’t just be talking about how great you are, mix it up a bit. LH: Absolutely and I’m going to come up with a ‘don’t’ that I think feeds into that a little bit. Don’t forget to utilise your existing contacts when it comes to self-promotion. One thing that I do periodically, I’d say maybe 6-12 months, so it’s not a big thing, don’t forget to ask people for recommendations if you’d like a recommendation. Don’t forget to go through your contact list and see if there’s anybody on there that you could do business with that you could link up with. Maybe there’s a graphic designer that works in a particular sector that you work in as a writer, maybe you could come up with some kind of collaborative project. You know, you give their clients discount, they give your clients discounts, so you can recommend a graphic designer with your writer, they can recommend words with their graphic design. Go through your LinkedIn contacts, make sure that you’re not neglecting the people that you’ve added because otherwise there’s no point adding people; you are literally just collecting people. I suppose that’s another half don’t, don’t just collect people on LinkedIn. Don’t add 700 people if you’re never going to interact with them or if you don’t care about them, if you’re not interested in reading from them, keep it quality. Now, here it is, bad cop time, I’m going to go with quite a controversial don’t and I do wonder what people’s reactions are going to be this so if you find yourself bridling at this, be kind. PW: This is Lorrie speaking. LH: Thank you, Pip! Now this particular ‘don’t’ comes as a couple of things so I’ll kindly turn it, don’t choose the wrong headline. Now, this feeds back into what I said in the do category about making sure that you put relevant search terms in your headings in your profile on LinkedIn but it is a bit more specific and it’s based on my own experiences. Now, during my time on LinkedIn I’ve seen a number of women posting that they are a copywriter and mummy or proof reader and mummy of two or an editor and a mum of boys. I can’t caution strongly enough against this. I really, really, can’t. Unless you are actually a mummy blogger by trade – and it is a thing, and I’ll post a link to it if you’ve not heard of it – your family status is and indeed should be completely irrelevant to your job. It should be of no importance whatsoever. As Pip and I have mentioned before to be a good copywriter, editor, proof reader or whatever you have to leave yourself to one side and concentrate on your audience, you client, your core marketing messages, things that aren’t necessarily relevant or even interesting to you in any way, it’s just not about you. Headlines like “copywriter and mum of boys” or “proof reader and mummy” put me right off. They stop me in my tracks, and why? There are a couple of reasons. Firstly, I question the reasons behind the person writing that. I really do. I question why in that person’s head, when they were writing their LinkedIn profile they thought ‘oh, I need to say that I’m a mummy’ because it’s diminutive as well. That kind of sets my alarm bells ringing, you know, if they put mother or mum or mom rather than mommy but it’s the diminutive, it’s kind of like surely you should have your business hat on right now rather than your “I’m somebody’s mummy” hat. PW: Yeah. It does seem an odd thing to prioritise on a professional network doesn’t it? Unless like Lorrie says, you are a mummy blogger and your job is to blog about parenting or about home life in which case it’s clearly very relevant, most times I fear that’s not the case. LH: No and I question why the family situation is considered to be the most relevant thing that can go on somebody’s LinkedIn profile, I mean, it worries me. If you think right, what is most important that my clients and potential clients know about me, hmm that I’m a mummy? That worries me and I question skills, I question their writing skills, either fairly or unfairly but with headings being so important on LinkedIn and with it being really key to people’s search results what you put in your heading, I question why people think that mummy is a good thing to put in a heading rather than a key word. So, in general if I’m being brutally honest, it makes me question somebody’s professionalism in the same way that I would question their professionalism if they posted a picture of them out at a party instead of putting a nice clean headshot there as a profile picture. That’s all around bad news to me. PW: Yeah if you’re trying to present yourself professionally then you want to stay away from cutesy things. LH: Very much. I think if you had a salaried position and you worked in a big company, and you know when you walk into offices and there’s like a picture of everybody with their job title underneath, you wouldn’t put mummy there would you? You just wouldn’t. I feel like I’m being really horrible but you wouldn’t put mummy there. Brutally honest now, your clients do no care. You think your children are the most marvellous people in the world and they probably are, they probably are brilliant, wonderful kids but your client does not and should not care. They are paying you for a service or they may be paying you for a service if they are not yet your client, they don’t care about your children, they don’t care about your star sign, they don’t care about your dietary needs, they don’t care about your last holiday you went on, they care about your professionalism, your skills, your work history, your specialisms, they do not care that you are a mummy and they shouldn’t. I have absolutely nothing against children, they’re tiny people: what could be cuter? Like tea-cup dogs, small humans, I’m all for them. I have nothing against mummy’s or mothers or moms or mamas or you know, nothing against mummy bloggers for that matter, there not my cup of tea which isn’t surprising as I don’t have children, but they respond to a very real need and they fill a gap in the market. But unless you are a mummy blogger and that’s how you make your living; clients don’t need to know about your family situation, that’s personal life and on LinkedIn is for professional life. So, just as I wouldn’t write copywriter and wife or editor and Capricorn, I strongly suggest you do not write copywriter and mummy. PW: You know, similar vein to do with choosing the right tone of content really. I would add a don’t of ‘don’t be overly confessional’; this seems like a weird thing to be saying, giving the conversation that we’re having. But, I witnessed the weirdest transformation of a woman who was a professional copywriter and I became LinkedIn contacts with her after we’d both participated in a freelance writer Twitter chat and so we’d had like this hour long Twitter chat in which we discovered we had a lot in common, we both did very similar work and we got on well, so we then connected on LinkedIn as well. This was all fine. LH: I love your stories I really want to know what happens next, I want to get like a biscuit and a cup of tea, tell us aunty Pip what happened. PW: Then all of a sudden it changed and I don’t know what specifically happened in her personal life but it became clearly very important to her to replace all her professional posts and updates with very detailed updates about becoming sober. LH: Ooh, did not see that one coming. PW: Yeah and so, literally overnight, she went from interesting copywriter contact to person that made me embarrassed when I saw her updates whereas three days earlier she’d of posted a link to a new study about effective landing pages. Suddenly she was posting about being 2 days sober and how and why and how she felt. PW: The first few days I thought it was weird but it just went on and on and on to the point where now, about 6 months later, she still posts about being sober. LH: Has she changed her job? Is she, I’m completely serious here, has she changed her role to like an AA advocate or something? LH: No? She’s just really happy to be sober. PW: I can understand if you have had an addiction then combatting it is a massive deal. LH: It’s a huge deal obviously. LH: Yeah, it’s very much like the mummy copywriter. PW: That’s what reminded me of it, yeah. LH: Yeah, I mean nobody is saying that you shouldn’t be happy for somebody that’s got sober or got children for that matter or that they shouldn’t be happy or proud about it themselves but LinkedIn is for work. I think that’s what we’re trying to say, it is for work. It’s professional; there is no cross over between personal and professional on LinkedIn. PW: And even if, like we’ve suggested, you want to show bits of your personality, even that is not the same as confessing every detail and I do mean every detail of becoming sober or of overcoming anything in your life, if you know, you have mental health problems for instance, that again can take over your life and it can be a very, very, big deal. But LinkedIn isn’t the place to talk about that and if we’re sounding perhaps, a bit hard line about this it’s because it’s so inappropriate. LH: Yeah, I think hard line is better than fuzzy line in this case. It certainly is because you could trash your reputation and that means not getting work and that means not getting paid. You know, if you’re in any doubt as to how much personal information you should share on LinkedIn at all, don’t share any. PW: Go with less rather than more. LH: Absolutely, if you’re at all concerned, don’t share any. Get yourself a closed Twitter profile, get yourself a profile that is in no way linked to your real name or your business and talk it out, nobody’s saying don’t talk it out, nobody’s saying don’t sing your children’s praises or don’t celebrate your victory over substance misuse, whatever, do it, do it, do it. Be pleased, be proud just don’t be pleased or proud on LinkedIn. PW: Yeah. If you’re going through a horrible relationship break up do that on Twitter or Facebook you know, there’s so many circumstances and with this particular person that I’m thinking of, whenever I see these updates all I feel is, I feel awful for her. It doesn’t annoy me that I see it in my feed. It makes me very concerned about her business and the degree to which she’s exposing herself. LH: But I think there’s an interesting point to be made there, without wanting to sort of sound self-aggrandizing, we’re both kind of compassionate people I think, we’re both into activism, we’re both quite people centric but, if I were a large company, say the marketing manager of a large company and I spotted a copywriter that I hired on there talking about the kinds of things we’ve just discussed, I might well feel annoyed. I might feel annoyed because, especially if you have a visible link to that client or if you were late with some work or you might of handed in some work that was substandard, it might not of even been related to these personal issues that you’re discussing, but, if I were to log in and see you talking about all kinds of personal stuff, I would question your ability to do the job and I would probably get rid of you. Because, you’re not a charity, you’re a business and you’re hiring somebody to deliver a service, you’ve got to choose the right person for the job and if someone is demonstrating that they might not be the right person, a lot of people are going to be a lot less tolerant. PW: And if somebody has talked a lot about alcohol misuse in that environment and then there late with some work, then for right or wrong, you may well find that your mind goes to ‘have you been drinking?’ You know, and that’s the last thing anybody wants. Similarly, keep away from, unless it’s relevant to what you do, keep away from topics like religion because all it will do is alienate some people. You’ll rarely on LinkedIn find yourself bonding over a religion, so I don’t think it would give you that advantage however, what it could well do is give you the opposite, a disadvantage. LH: The same goes for controversial topics, immigration, politics, keep your views to yourself really because you’re going to get your fingers burnt. You know, I’ve had clients try talk to me about their politics that are quite, quite different to my own. Similarly, I’ve had people ask me to write news stories or press releases from an angle that I absolutely would not a spouse at all. Now, as long as something’s not against my ethics or my principles, I’ll do it because it’s not about me. So if a company wants to write about a certain piece of legislation from an angle that I don’t particularly agree with or relate to, that’s fine as long as it’s not against my ethics. PW: Yes, I’m exactly the same. LH: If however I was to write on my LinkedIn about my politics, my religion or lack thereof, about my views on immigration, about my views on I don’t know, racial issues? PW: Organic food, you know anything can become controversial if the right person picks it up. LH: Yeah you never know with these people, you can lose yourself business because they can think that person can’t put their own feelings to one side and you’ve no-one to blame but yourself because you’ve been the one writing about it on a professional website. PW: Yeah. I have a slightly different experience to that just because an amount of what I do is opinion-based writing. So that puts me in an interesting position because the things that Lorrie’s just outlined are very real dangers. If I posted on LinkedIn something I’d wrote for a publication that was quite opinionated, that may well put off a copywriting client who didn’t share my opinion on it. However, if I didn’t put that kind of thing on then others wouldn’t know to approach me for that kind of work. LH: True, I imagine that’s a balance when you do media writing. PW: It is a balance and also quite a few of my contacts on LinkedIn are fellow political writers so it’s not as kind of sanitised on my feed as it might be otherwise. LH: On the contrary, I think you would have to be controversial some of the time in order to generate interest. PW: Of course, of course and so generally if I have something published somewhere, I post it, as long as it’s under my own name, obviously, not the ghost written stuff. I’m not saying that’s not problematic but I think because I do both types of writing under my own name and if you Google me then the first things that come up are often obviously the stuff for the bigger newspapers and stuff, they win on SEO over other things and so I can’t be entirely opinion free, nor would I want to be. That doesn’t mean that I still have no tact, there’s still ways and means of going about in a way that makes it not alienating to co-operate clients but also does show that you’ve got more in you that you can offer opinionated work. LH: So, of course, the example is ridiculous. PW: Yeah, no, you’re absolutely right. Plus, if I post a link to something opinionated that I’ve written, it will contain the logic behind my opinion. So even the piece itself won’t be ‘I can’t believe people eat ham’ it will hopefully have a bit more substance to it as well. There’s still a way of going about it. LH: Even the piece itself is far from neutral, you can be neutral in your presentation of it. You can be purely informative as opposed to prerogative when you post and say new piece posted on The Independent, take a look, let us know what you think, comments can be found below the article. PW: Yeah, yeah. Now, our next don’t is a biggy and its becoming more and more of a problem by the day. Don’t send mass impersonal messages to your existing connections. LH: Yes, yes, yes, thank you, yes! PW: Do you agree Lorrie? LH: I suppose so yeah… No I completely do, obviously! It’s a nightmare! PW: I recently got one from a connection who admittedly, I don’t know. We must have added each other for some reason but I don’t know who she is. I got one of these messages from her that came through to my email and it said ‘Hi all, sorry for the mass email would you mind going to this site and leaving me a recommendation, ta!’ Now, there are so many things wrong with that message. First of all, ‘hi all, sorry for the mass email’ that’s an automatic switch off anyway. LH: Of course it is. That’s delete or if you’re me, report spam. PW: Well yeah and would you mind going over and leaving me a recommendation when I don’t know her, I’ve never worked with her, I will not recommend somebody I’ve never worked with or never seen work you know, I just won’t. LH: I don’t mean to interrupt you but I had someone get in touch the other day ‘Hi please click this link and recommend me for such and such a prize, thanks’ I’ve never heard from this person before. PW: I know and the site that this woman wanted a recommendation on, it was on a third party site so it wasn’t even on LinkedIn. There was nothing about that message that was ok and yet she presumably, sent it to everybody. LH: That’s so horrible and I suppose I am perverse in that sense, I would click report spam. PW: Yeah I can’t remember whether I did or not, I remember I was very tempted to. LH: Yeah I absolutely would, at the very least I would disconnect from somebody for it. PW: I have reported other messages as spam, on LinkedIn, certainly. They are getting quite spammy. LH: They are getting really, really, spammy. Obviously, because we’re copywriters, I take extra offence, as though there needs to be more offence, I take extra offence as there poorly written because there marketing material at the end of the day. If you’re sending poorly written, spelling mistaken ridden tosh to all of your LinkedIn connections, potential clients, friends, whatever. Then bugger off. Bugger off out of my inbox. Go away! It’s ridiculous. I completely think they deserve to be reported as spam. You wouldn’t do that, there seems to be this boundary thing again, it’s a LinkedIn boundary thing, I think all the problems on LinkedIn stem back to one word, boundary. You wouldn’t get somebody’s email address and just spam them with some rubbish, poorly spelt, junk mail. So don’t do it to somebody’s LinkedIn inbox. Although, we do enjoy, or at least I do enjoy being bad cop, we’ve been sort of sitting here wondering when, if at all, it would be appropriate to send a mass email via LinkedIn. Now, we’re both really struggling and as we’ve discussed, if we can’t think of it, it probably doesn’t exist because we are just authorities on everything. I generally can’t think of a time that a mass email, I can think of a time where a group email might be suitable like emails that you send to a few people. PW: If you’re changing your job for instance, or something that requires a wider announcement. LH: Yeah, I don’t know if I’d send that as a group email though, even then. I think I would copy and paste and send it individually or if I wanted everybody on my LinkedIn profile to know I would put a notification up and then people get a notification anyway, if you change your job, don’t they? I suppose if you’re changing your contact details then maybe? But then again do you need all six, seven hundred people on your LinkedIn to know about it. PW: Yeah. I think kind of the conclusion we’ve come to, it may be that there is a visible time to send a mass message, we can’t think of one that’s justifiable at this stage. In the vast majority of cases, you know, don’t go big; go small. LH: Yeah and in every case, and I will say every case, it’s better to personalise. It’s always, always, always better to personalise your messages even if you open a word processing document, you type something out and you put some fields in there to be personalised. So, dear first name, you know whatever. Make specific references to them and their company or whatever, just make sure we aren’t being spammed by you, even if you just have to send something completely informative not person-specific at all, copy and paste and send to one person because I don’t know, I’ve not sent a group message on LinkedIn but from what I recall it shows who’s been CCed in. PW: Yeah. I’ve never sent a group message either which I think means that we are good people. LH: I think so. But, I don’t like being CCed on messages where everybody’s visible. It’s just something that I really, really, don’t like, I object to it if it’s just my email. PW: I’m looking now; I can see that my most recent message, I can see everyone that was CCed in. LH: I really don’t like that, I mean the implications are different on LinkedIn because you can’t see everybody’s contact details, so it annoys me less on LinkedIn than it would by email, per say. But, I also just don’t appreciate it for whatever reason, I don’t know if I’m alone in that or not but it is interesting to hear other people’s views actually. PW: Yeah and it also means that you can’t hide the fact that it’s not personal. LH: Yes and I suppose that’s good really because it helps you weed out people. I would really be interested to know that if you can think of an instance where it would be appropriate and/or desirable to send a group message that everybody can see as a group message. Let us know because we’re stumped. PW: Yeah, I’m willing to concede that a circumstance may exist but I’m going to take some persuasion. So let us know. LH: Yeah. There’s no prize for letting us know, we have nothing exciting to give you except our unending admiration. PW: And what could be more exciting than that. PW: Our final don’t is, looking at how you present yourself again on your LinkedIn profile but specifically, in terms of the image you choose to accompany your profile. It is tricky to find the right photo to represent yourself but especially on LinkedIn, you have to think a bit carefully. Don’t use that photo your mate took on Saturday night where you’re dancing on a table or the one that your partner took when you were half asleep on Sunday morning. You know, think just think in terms of it promoting your business and sure personality, sure character, all that but in a reasonably neutral way, I would say. LH: Yeah, I think you don’t have to be as formal as a freelancer as you would be if you’re working in an office. Exactly, and that’s not to say that you’re less reputable, less important, less professional in any way, it’s just that, I almost feel slightly mistrustful of freelancers who have super, super professional pictures of them really suited and booted. I don’t find them quite as approachable because I think most freelancers, at least the ones I’m comfortable working with, we don’t spend our days suited and booted you know, we wear jeans and t-shirts and we work from home and I think its ok therefore to have a picture of you in something that’s not a shirt and tie. But, I don’t think it’s appropriate, as Pip said, to have a picture of you in your speedos on a lilo. LH: Or in a vest while you’re doing the ‘Mr Big Muscles’ competition or in a bikini when you’re competing for ‘Miss World’. You know, there are so many things that just wouldn’t go. A smile is nice, informal is nice, reasonably neutral background is good, stains on t-shirts, no. PW: Yeah, someone else having taken it is good. You don’t want it to be at that angle. LH: Yeah, no arm-length shots even if you need to stick your camera on a dresser. PW: Yeah, set the timer going for 10 seconds and run. LH: Don’t get an action shot though, we don’t want to see pictures of you running or hurdling along, Mo Farrah style. PW: Unless you’re a professional runner. LH: Indeed. In which case why are you listening to this podcast? LH: True actually. So yeah, portray the person that you want people to hire. If you wouldn’t go along to a casual business meeting with a new prospect in what you’re wearing, then get changed for your picture. 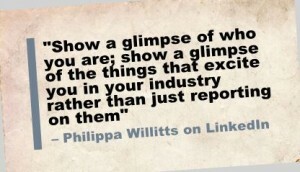 PW: And so we hope those dos and don’ts will set you on the right path to LinkedIn stardom. In the show notes on ‘alittlebirdtoldme.Podomatic.com’ you can actually find links to Lorrie’s and my LinkedIn profiles. 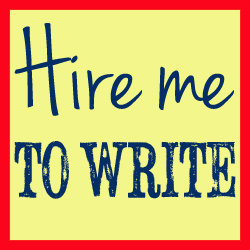 Do head over and request a connection we’d be happy to network with other freelance writers. That would be lovely. LH: As long as you don’t fall foul of any of the things we’ve said. PW: We will be watching. LH: We will, I will have my eyes peeled, we will be watching. So by all means, request a connection, if you’re brave enough. We’re really not that scary, we finished off on bad cop but we’re not that scary. PW: And so now it is time for our little bird recommendation of the week, this is the point where Lorrie and I recommend something that we’ve seen, that we think our listeners will enjoy or find useful or just want to see. My recommendation this week is actually a bit of a warning and it’s an update from a website called ‘findaproofreader.com’ which is a global proof reader directory. It’s about a scam they almost fell fowl of that apparently is happening to quite a lot of proof readers at the moment and so I thought it was definitely worth raising awareness of because a lot of freelance writers do proof reading. I know both of us do. I really enjoy it. The way I see it is we exist in a world where I normally see grammatical errors and have to just shut up, proof reading gives me an opportunity to correct them all so its like, putting the world back in order again. I love proof reading. Anyway, the way that it affected the author of this piece is that they got approached, a very normal approach about some very normal proof reading and the very normal negotiation happened. So they did the work but when they got paid, they got paid far more than they had agreed. LH: Oh, ok. That’s not usual. LH: Ok. You’re worrying me now because I’m not hearing any alarm bells yet. PW: Well, quite. And actually what had happened was that the original payment from the scammers was fraudulent and didn’t go through and in the meantime had this proof reader not spotted something dodgy was going on they would have been wired, it was about £1,000 difference to an offshore bank. LH: So he would have completely refunded it? Is that what will of happened? PW: Well, what would have happened would be the payment to the proof reader wouldn’t have gone through? LH: But the proof reader would have refunded… right, so one giant payment would have gone through, that was say twice the amount they were supposed to pay. Oh! PW: And then they said “sorry it was a mistake; just send over the difference, no problem”. And had they sent over the difference the process written by a proof reader called Nick Jones, then Nick would have been out of £1,000 or so and these people would have disappeared. PW: It is; it doesn’t fit a lot of the typical scam criteria’s to start with, so you can see how it happened really. It turns out that it wasn’t a one-off; other people had got in touch with this guy and said this has happened to me as well or this nearly happened to me but I spotted it. Just because this is a proof reading scam, this is the kind of thing that could happen to other freelancers as well and so I thought that, while someone had drawn attention to it, it was worth promoting that really. Some of the kinds of warning signs were things that wouldn’t necessarily stand out in a proof reading query because one thing that one of the commenters suggested should have been a warning sign, was that the original people’s English wasn’t great but, that’s quite often why people approach proof readers. LH: Oh quite! I imagine that’s why they’ve chosen proof readers because it wouldn’t ring any alarm bells. PW: That’s it because I mean I do an awful lot of proof reading of CV’s and job applications and things and that is quite often people where English isn’t their first language and that’s why they want to double check what they’ve written. LH: So how are people being made aware that this payment had extensively been made but hadn’t, were they being told that, ok we’ve paid you X amount thanks very much for your services and waiting for the proof reader to realise that it was too much because you can’t trick somebody’s bank account can you? You can’t have £1,000 appear in somebody’s bank account if you’ve not paid it? PW: It’s a combination of them using a bankers draft and the guy that wrote the post realised because someone who advertises on this ‘find a proof-reader’ site, rang him to say he’d been scammed and there was a connection with this website and as he related his experience, then Nick, the author of the post, realised he was subjected to exactly the same thing. LH: Oh, how good that he’s written about it. PW: Yeah and so apparently there’s a website about it, there also targeting interpreters. LH: That’s my area as well. PW: Exactly, so when I link this post in the show notes I will also link to this further information, it’s a wiki about it because if someone sends a bankers draft and you pay it into your bank, some banks will look like the money’s in the bank, you know your balance might increased before its cleared for instance. Different banks do that differently and so then you might think oh I’m safe, it’s cleared, I’ll send the money back but if you’re aware that this is happening then hopefully it can make you spot any warning signs really. LH: Oh, that’s pretty scary. LH: Some people honestly you can’t rest on your laurels when you work online and when you work remotely for people. It’s not the same working for somebody in the next office. You’ve really got to watch out and protect yourself. Oh, how dreadful. Great recommendation though. LH: Apart from it’s a slightly scary tale for freelancers. PW: It is, it’s not very nice but I think we all need to know. LH: No, definitely, yuck. So I suppose one way to protect yourself would be somebody requests a refund and there not a trusted client of yours to phone your bank maybe. PW: If you haven’t cashed, what I would perhaps think is, that if the bankers draft arrived and it was for a lot more than you agreed just don’t put it in your bank, don’t pay it in and then contact the client and say could you send one for the right amount please. LH: Yes, that’s a good idea. PW: Rather than paying it in and then sending them some back, because you would notice when it arrived if it was £1000 more than £200 you know, so I think I would be tempted to not even go near the bank with it and maybe you have to admit at that stage that you’ve lost £200 worth of work, but that’s better than losing £200 of work and £1000 cash. LH: Of your own cash. LH: How awful, I feel really frivolous in my recommendation this week now. PW: No, we need something more cheery to end on after that. LH: It’s like, “and now in other news…!”, I’m the weather aren’t I?! PW: No, you’re the quirky story in a local news station at the end. LH: A cat stuck in a tree. PW: Yep, that’s the one. LH: Or the hat stuck in a tree, which you and I love so much. We will include a link to that listeners, it’s a very important news story. Well, recently I have been working on fiction stuff a lot, and you would think as a copywriter and editor I would be able to come up with a better term than ‘fiction stuff’ but it’s been fiction stuff. I’ve been working on my creative writing blog I’ve been reading up on characterisation, emotion, viewpoint, settings, plot structure all in a bid to improve my skills for book editing and creative writing itself. So, to help me improve my writing and other people’s writing and I spotted something that I thought would be quite niche enough to be quite interesting and it’s ‘Five common synopsis mistakes that fiction writers make’. Now when it comes to your synopsis, as a fiction writer, it is a little bit like your elevator pitch as a copywriter. You need to be able to write and indeed give a synopsis of a piece of work that you’re doing in order to grab people’s attention. Now there are certain range of trends and…. (What am I looking for, the word), regular conventions, (that’s what I’m talking about). Now, there are certain conventions that need to be respected in synopsis writing, whereas your fiction can be as wacky and out there and unique and original as you can possibly make it. Your synopsis does need to adhere to these conventions but particularly if you’re looking to publish under a traditional route. It is hard distilling your novel or manuscript into a synopsis – it is really, really tough, but there is a website that I like called ‘Writers’ Relief’ and their blog has these five common synopsis mistakes that fiction writers make. And it’s just a good starting point if you want to build up a synopsis but you don’t really have the bare bones of it. LH: Now tip 1 – or tip 5 because they’ve gone backwards. Tip 5 is choosing the wrong verb tense, now no matter what tense you write your novel in, your synopsis should always be present tense, you know, for instance, ‘The feisty and independent Philippa Willitts finds herself shocked and dismayed when she discovers such and such and such’, you don’t want it in the past tense. LH: I know I want to read more. It did make you a little bit Mills and Boone romance there, I apologise for that, but it was just an easy one to go for. You wouldn’t write it in the past tense though; you wouldn’t write Philippa did such and such and then Philippa did this and did that because it hasn’t already happened, you’re trying to hook somebody in. PW: Oh, that happens in all sorts of writing. LH: Exactly, and with all sorts of things, so not necessarily in tense with people not being consistent in what they are doing. So proof reading will sort that out. Your synopsis is people’s first view into your book or manuscript so don’t muck it up. Second mistake is not showing a clear plot arc, you know it’s easy to get caught up in the small details but your readers need to know what they’re expecting when they open your book. You don’t need to focus on one tiny bit of a sub plot, you need to focus on the over-arching action without giving things away. And there are three more points and in the final point you actually, kind of get more for your money there is a bullet pointed list of mistakes that people make you can go over there, if you’ve got an opinion on synopsis writing yourself you can go and have a nosey and below the line comments and leave your opinion there, but it’s well worth going and having a look. And Writer Relief is a really nice website they’ve got quite a lot of fans on Facebook if you’re on there, they’ve got a Twitter account if you prefer to tweet people but its really good if you’re looking to improve your fiction writing, if you’re looking to self-publish; if you’re looking to publish traditionally I would really recommend going and having a look because if you’ve got a poorly written synopsis nobody is going to open your book, you’ve turned people off before they even get into the first page, so like ten thousand plus other people become a fan of Writers Relief and just improve your fiction writing really, I thought it was a really good post. PW: Great and as always the link will be in our show notes so just click through and enjoy. LH: So that brings us very neatly to the end of episode 52 which has been all about how to network like a boss on LinkedIn without making yourself awkward, horrible, obnoxious, irrelevant and generally unprofessional, which of course you don’t want to do. You can find all of the links and bits and bobs and pieces of information we have mentioned in the show notes and that’s all in alittlebirdtoldme.podomatic.com you will also find links to, as Pip mentioned earlier our social media feeds and our websites and indeed out marvellous LinkedIn profiles, they are really stunning honestly, you will have to see them. PW: I imagine we’ll have some quite self-conscious updates for the next few weeks. PW: Do what we say, not what we do, perhaps. LH: Yes, if what we do it amazing then by all means do it, if it’s not just pretend it didn’t happen. PW: We are sadly human at the end of the day. LH: In the meantime, though, why not subscribe to join us on our journey? You can subscribe at alittlebirdtoldme.podomatic.com choose your method; there is Stitcher smart radio, Podomatic, iTunes, RSS feed and possibly some others, maybe. LH: Ohh yeah, have a look at our Facebook page we don’t have a Twitter for the podcast but we do have Twitters for ourselves, so by all means come and have a chin wag, we’re very nice people. PW: We genuinely get excited who listens to the podcast comes and says hello. LH: So do it, in the meantime Pip and I will be working on the next episode, the next one coming up is my solo episode I believe so, yes, until that point get yourself subscribed, come and have a chin wag with us and we remain ever grateful, ever thankful that you listened to us and you enjoy the podcast, because we get some great feedback. PW: We do and it makes us happy.